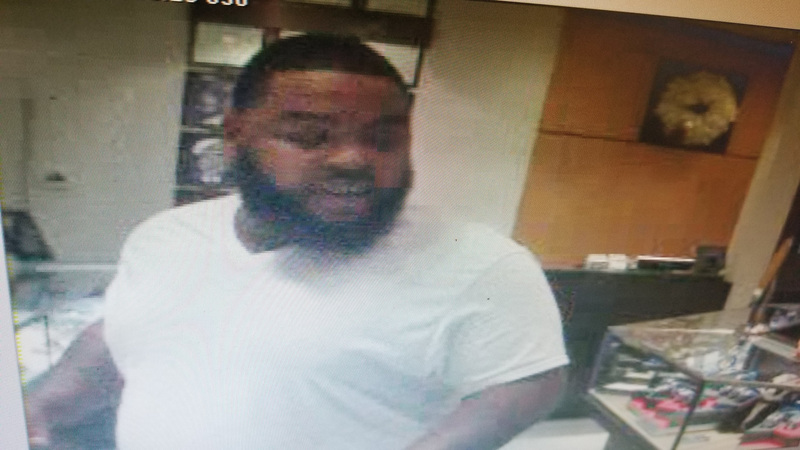 Houston Police released surveillance video and photos of a suspect who tried steal items at the Ben Bridge Jewelry store in Memorial City Mall. It happened at 303 Memorial City Way about 7:30 p.m. on December 2, 2017. Click on the https://youtu.be/gMIGhOQ7Qb8 to see the video on the Houston Police Department YouTube Channel. Police say the suspect walked into the jewelry store and approached the Rolex display case and brought out a hammer. The store security guard confronted the suspect, who dropped the hammer and left the store. Houston Police need the public’s help in naming the black male suspect, 30-40 years old, about 6 feet tall and weighing 275-300 pounds. The suspect also had short black hair, a full beard and mustache. The suspect wore a white T-shirt, black and white vertical striped pants and white tennis shoes. If you have any information on the suspect’s identity or where he is, contact the HPD Burglary and Theft Division at 713-308-0900 or Crime Stoppers at 713-222-TIPS (8477). 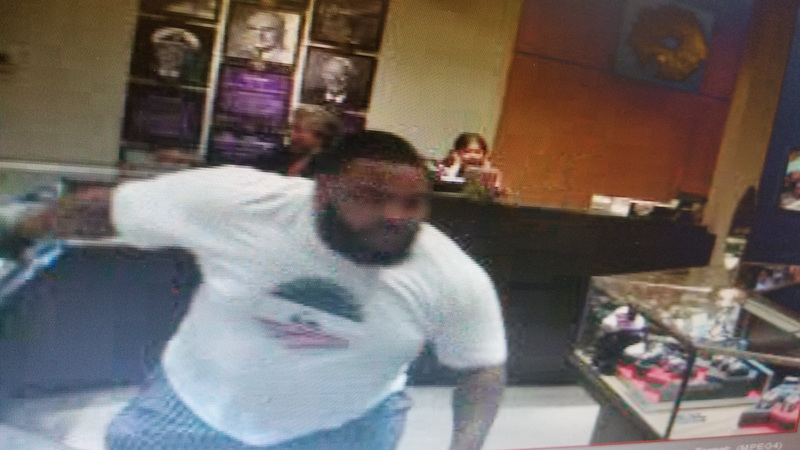 This entry was posted in Asian Community Alert, Asian Community Houston, Crime Alert, Houston Crime News and tagged Ben Bridge Jewelry Store Memorial City Mall, Jewelry Store Burglary Memorial City Mall 2018. Bookmark the permalink.